Our parent company Grand Smithy Works (GSW) was founded by Late B.C. Agarwala (Grandfather of Mr. Shiv Kumar Agarwala) in 1942. Up to 1952 GSW was dealing mostly in industrial & disposable scrap in India. Late Yudhisthir Lal Agarwala, son of Late B.C. Agarwala was the pioneer in establishing iron & steel scrap industry in India and for the first time started the export of scrap to Japan in 1952. GSW was the first to purchase not only the entire quantity of old and freshly generated scrap from Tata Iron and Steel Company (TISCO) and Indian Iron and Steel Company (IISCO), the only then existing plants in India but also introduced the excavation and recovery of scrap from the slag dumps accumulated over the decades at these plants. In this process GSW excavated and processed millions of tons of Ferrous Scrap recovered over the years from these plants and exported the same to Japan and South Korea. 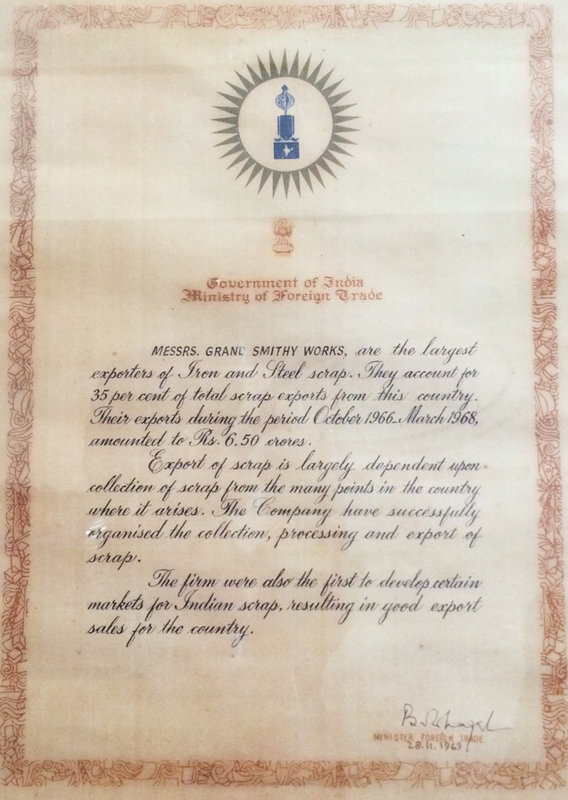 GSW continued to be the largest exporter of iron & steel scrap from India upto 1976 when the export of the same was banned by the Government Of India. 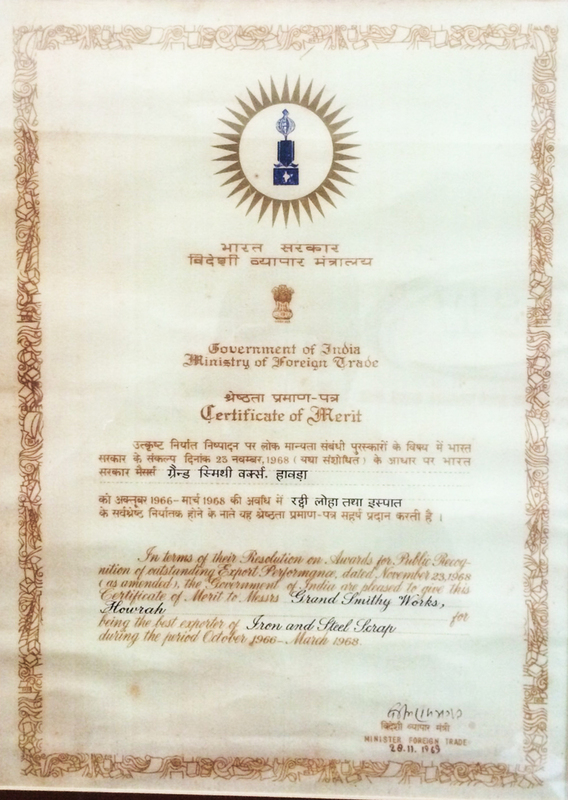 In 1969 GSW was awarded the prestigious export award by the Government Of India for its pioneering effort for promoting the export of iron & steel scrap from the country. After the export of scrap was banned, GSW were engaged in mill services at various leading mini steel plants of India. Services include scrap recovery & processing and excavation & transportation of slag. In 1962 Late Yudhisthir Lal Agarwala had established a very modern & composite steel manufacturing unit in the name of M/s Indo Japan Steel Ltd manufacturing hot & cold rolled strips directly from iron & steel scrap. The entire machineries were imported from Japan & the entire plant was put up with Japanese technology. At that time this was the only unit other than Tata Iron & Steel Company Ltd manufacturing narrow hot & cold rolled strips in India. Our subsidiary company Grand Smithy Works International SRL, Romania is engaged in excavation, recovery & processing of steel scrap from the slag dump of ArcelorMittal Galati SA, Romania since 2003. 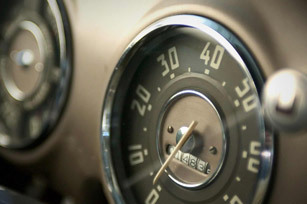 They also have certain contracts for technological cleaning & transportation inside the plant. Grand Smithy Works International SRL, Romania has been awarded a US$ 35 million five year contract for recovery of metallic fines from the slag with the aide of a State of the Art magnetic separator plant & the project is in full swing since July’2014. Grand Smithy Works International SRL, Romania is also an ISO 9001 and ISO 14001 certified company. A new company by the name of GSW Mining & Recycling Private Ltd was floated in 2011. GSW Mining entered into a joint venture with the worlds leader in industrial mill services M/s TMS International, USA to undertake all types of mill services exclusively in India. Currently negotiations are going on with various steel plants through this joint venture. The main objective of GSW Mining is to undertake mill services & slag processing in the major steel plants in India & abroad. Negotiations for such contracts with few major steel producers in India are in advanced stage. GSW have a very experienced and dedicated team of personnel many of whom have over thirty years of experience in this field. We are also well equipped with all types of heavy moving equipment from Caterpillar, Hitachi and other renowned suppliers which are essentially required in such types of jobs.